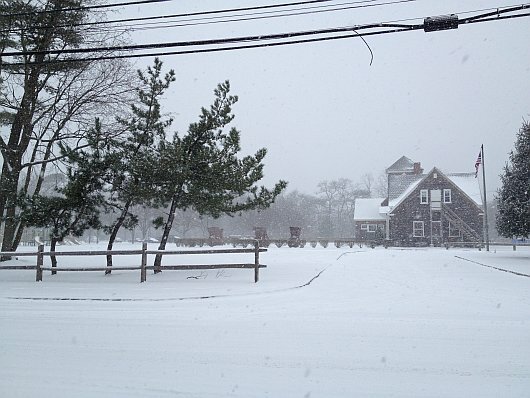 Winter on Long Island is off to a slow start. We’ve had inconsistent temperatures and too many warm days for me to even begin to take Old Man Winter seriously. With temperatures above freezing and rain in the forecast what he threw at us yesterday will be gone by tomorrow night, and everything will look like you know what again. Colder Pacific Ocean temperatures caused by La Niña result in less moisture in the air. The Atlantic Oscillations and Arctic Oscillations are in a phase that allows that dry air to flow easily over the country to the east. Less moisture in the air means less snow. With less snow on the ground to reflect solar radiation winter temperatures rise. I had to work yesterday so I couldn’t enjoy the snow while it was falling, but I did manage to snap a few pictures on the way in. 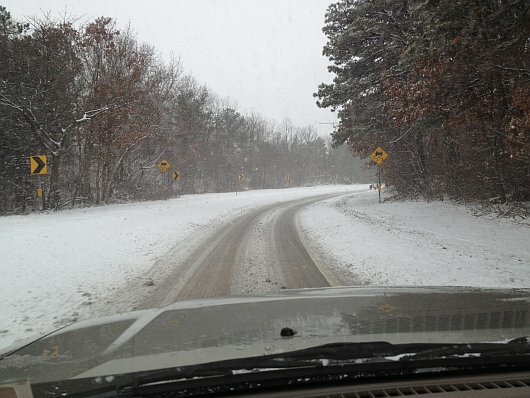 The roads were so slippery that I couldn’t go past 30mph without feeling the car slip–and that’s with snow tires. The roads were VERY slippery. Everything looks so good covered in snow. 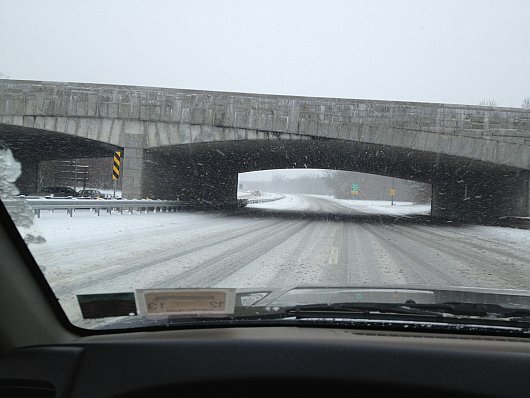 Driving conditions were really bad at the end of this ramp. 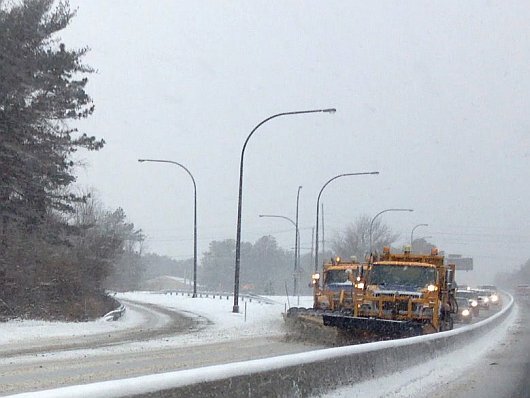 Snow plows to the rescue! The winter has been especially mild in Berlin and we saw the snow just for a couple of minutes. Side effect: lot of rain. We’ve been getting a fair amount of rain here. Nothing too bad thought. Thankfully. All is well here–hope all is well with you too.